Dr. Daryl is a Nike certified golf-performance specialist. The Functional Golf Performance System (FGPS) is a scientific process of analysis and training to enhance the athleticism and performance of golfers at any skill level. Dr. Daryl will conduct a performance analysis and utilize training techniques that are derived from the Applied Functional Science® principles of human movement. 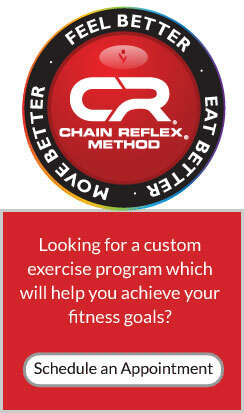 Dr. Daryl will customize a golf fitness program to help you play the best golf of your life. Come experience what off-course golf conditioning should feel like. This is not golf coaching. This is fitness training for golf. WholeHealth NorthShore offers The Best Golf Fitness Training Program in Chicago North Shore area including Arlington Heights ,Deerfield, Glencoe, Glenview, Highland Park, Kennilworth, Lincolnshire , Northbrook, Riverwoods , Vernon Hills , Wilmette, Winnettka.